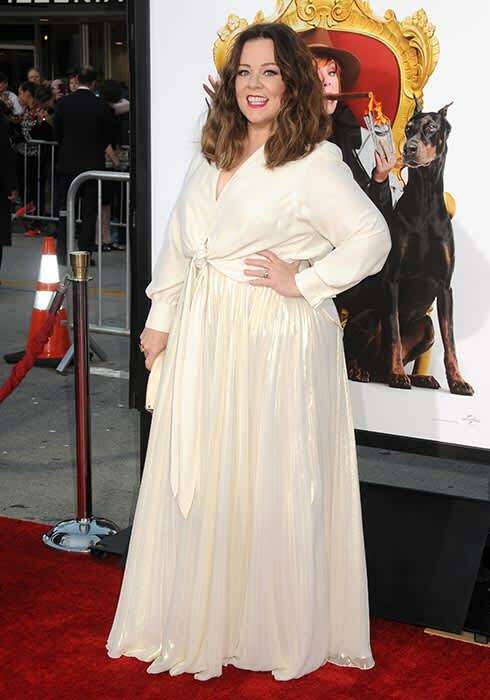 Melissa McCarthy wowed in cream at the LA premiere of new film The Boss. | HELLO! She is co-writer and star of the film, so it's no surprise Melissa McCarthy was all smiles at the Los Angeles premiere of The Boss this week. The 45-year-old stunned in a gorgeous outfit as she worked the red carpet and chatted to fans. Wearing a cream blouse and matching flowing skirt, Melissa complimented her look with a simple red lip and styled her hair in natural-looking waves. She was joined by husband Ben Falcone, 42, co-writer and director of the new comedy, who looked more than proud to be on her arm. Melissa and Ben have two daughters, Georgette, five, and nine-year-old Vivian, who plays the young version on her mother's character in The Boss. 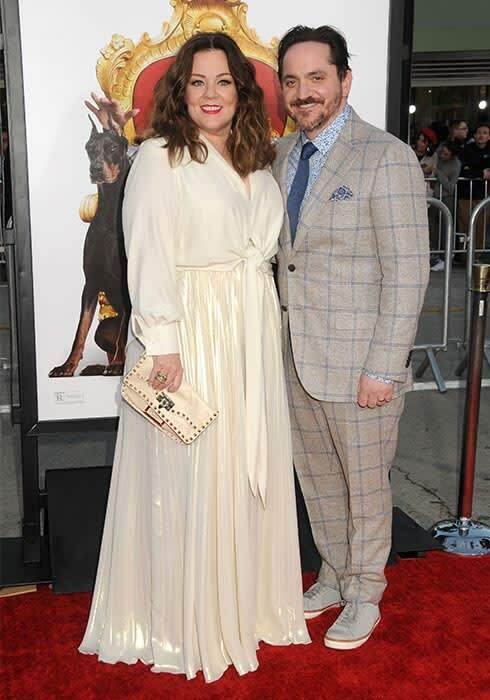 It's thought Melissa's stunning outfit is from her own plus-size clothing line, Melissa McCarthy Seven7, which she debuted in August 2015, the same year she was named the third highest-paid actress in the world. Discussing the clothing line previously, Melissa told People: "I want women to get dressed every day and feel good about themselves. I don't care what it is, if it's dying your hair blue, if it's a sweater, whatever you want to do, if it makes you feel good and empowered, I stand behind it 100 per cent. "And if I can be a little tiny block on that wall, I'd be proud of that. I just don't believe in a uniform. I think if people have it and they love it, great, but I think people get into a rut and I've always been someone who gets a kick out of dressing." When you look as good as Melissa, it's no wonder she loves getting dressed up!